This is not a story of love. This is a story of courage, survival, and strength. Savanna Winters was on her way home after the shift from hell at the local hospital when she was grabbed and bundled into the back of a dark-colored van. The next thing she knew she found herself being dumped off at an abandoned home, or so she thought. Will she escape? Vance Winters knew something was wrong when his sister never returned home after her shift. He chose the "f--k this, I'm off to search" option. Will he find her? August Twigg had everything one could ever want. He had admiration, money, and status. The one thing he didn't have is a caring and loving family. Through an unfortunate sequence of events, each of their lives will change unequivocally. Life as they know it will never be the same again... maybe. 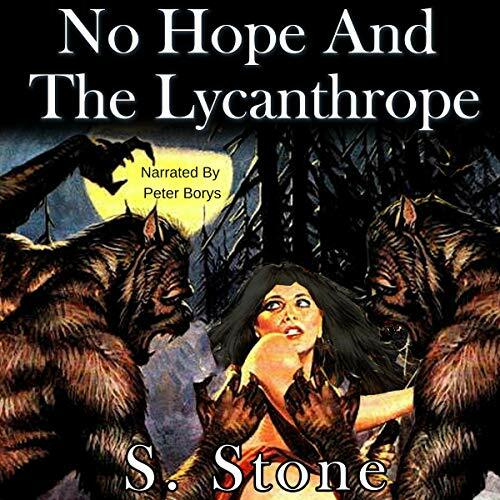 No Hope and the Lycanthrope is a book full of attitude, wolves, and strong women. This book contains strong language, sexual references, and a mad woman called Roxy who talks to her taser. I did say she was mad. This is the first book of the Winters and Wolves series.